THE North Yorkshire Moors Railway-based LNER Coach Association is on the verge of making a significant breakthrough in the restoration of 1894-built East Coast Joint Stock dining car No. 189. The coach body is currently mounted on an underframe from a former LNER suburban coach, but this is not quite the right length and has had to have wooden packing blocks added to the headstocks to lengthen it. The coach was originally built with offset gangways but was rebuilt around 1904 with an early version of Pullman-type gangways, but retaining the suburban coach underframe would preclude fitting Pullman gangways. The LNERCA has therefore had a later Gresley underframe from a gangway-fitted brake composite shortened so that the coach can be fitted with gangways and be fully compatible with its other teak carriages, including being capable of being registered to run to Whitby over Network Rail metals if required. Once frame and roof repairs to the coach body are complete the body will be transferred to the new underframe. The restoration team has always been aware though, that this coach would almost certainly never have run on Gresley type bogies, which is what both underframes currently have. 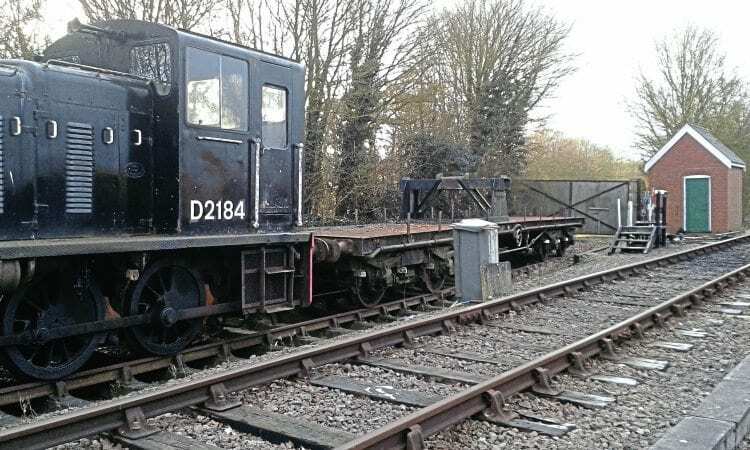 It would most probably have been fitted with Fox pressed steel bogies, which are extremely rare nowadays. The LNERCA has been fortunate to find a pair of these under a crane runner that was formerly a GNR suburban coach at the Colne Valley Railway, which has agreed to exchange them for a pair of Gresley light-type bogies. After protracted negotiations the crane runner has been positioned for transport to an engineering company at Shildon where the bogie exchange will take place before the crane runner is returned to the CVR. The Fox bogies will be overhauled at Shildon before being returned to Pickering to be united with the shortened underframe. The LNERCA has launched an appeal to cover the cost of the work, donations may be sent to the treasurer at 103 Bramley Garth, Appletree Village, York, YO31 0PQ.